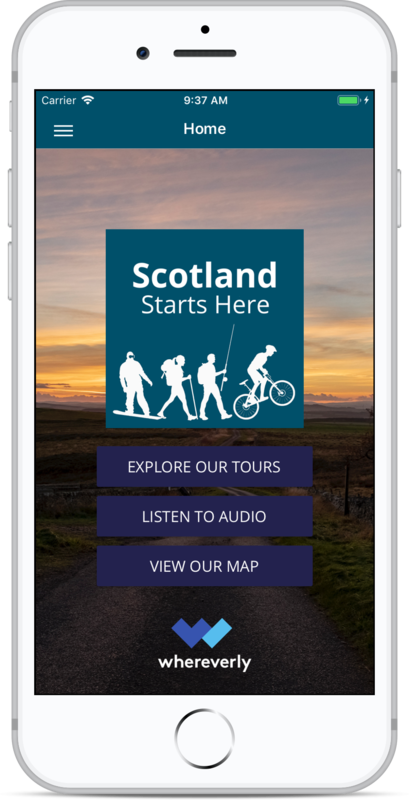 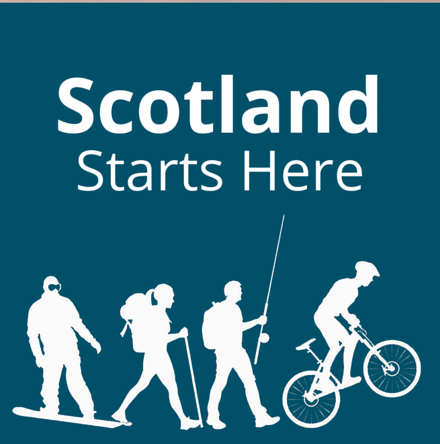 We are delighted to announce and share the brand new tourism app ‘Scotland Starts Here’ . 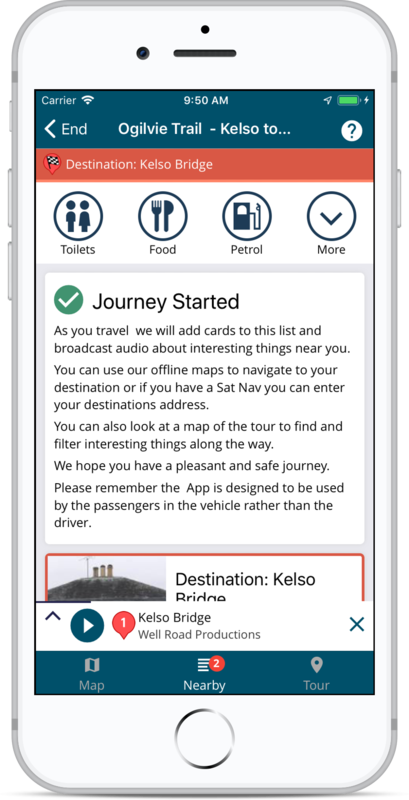 Now Live to download through your APP Store today. 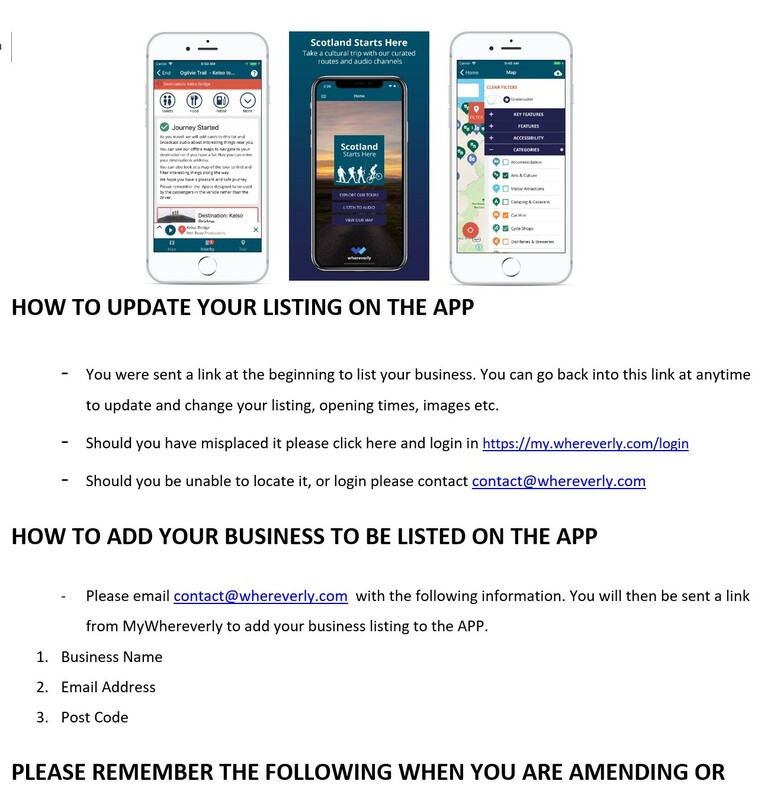 We need you onboard as a tourism business. 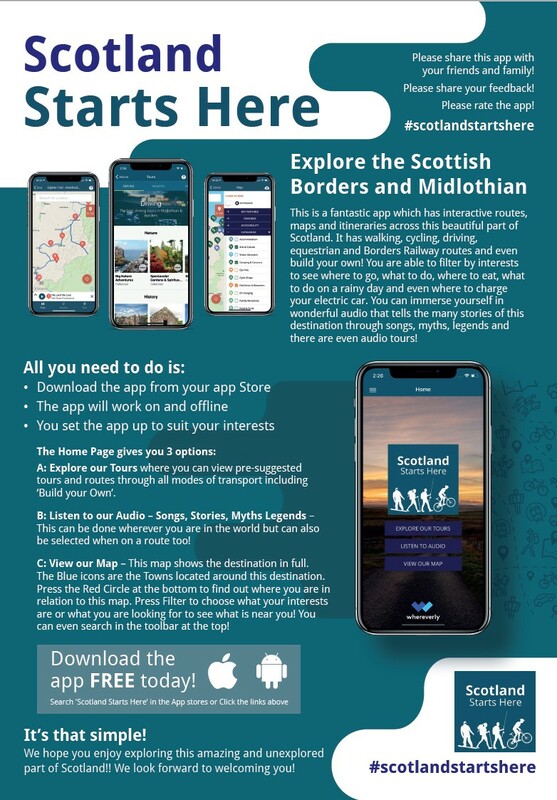 Please promote and share the app far and wide – together we can make this the destination of their choice!! 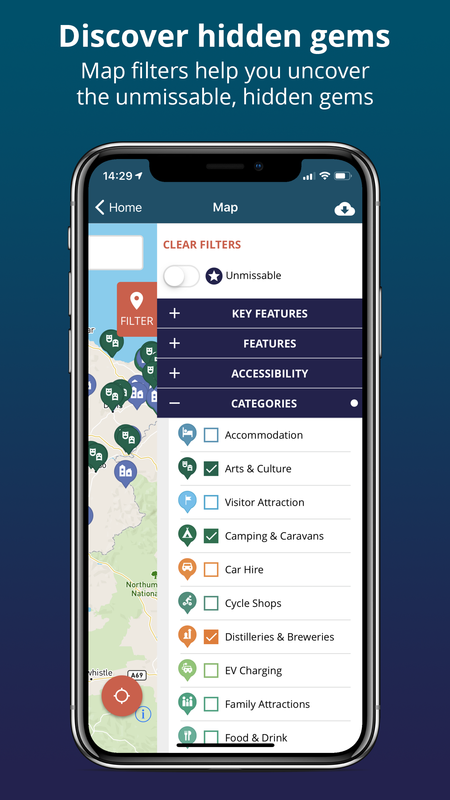 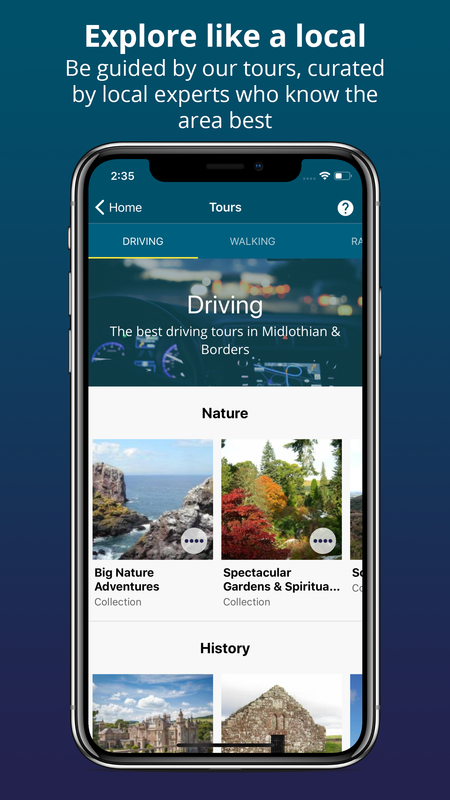 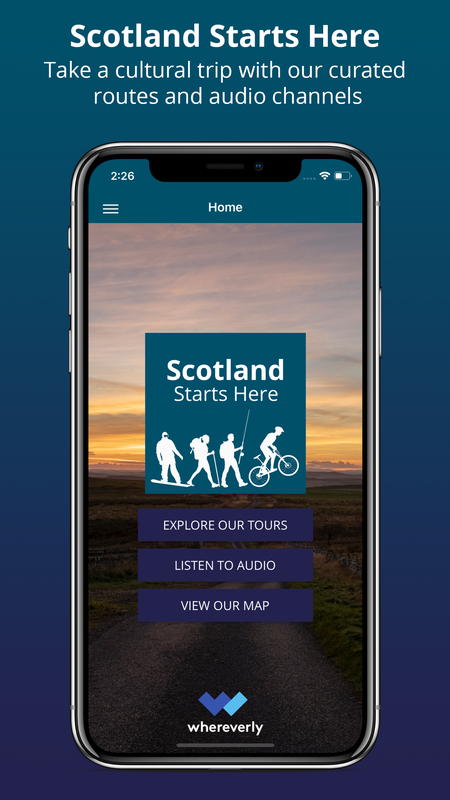 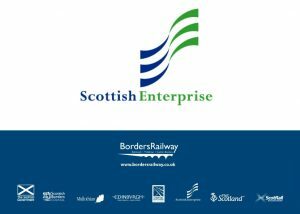 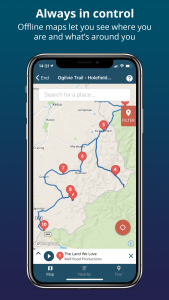 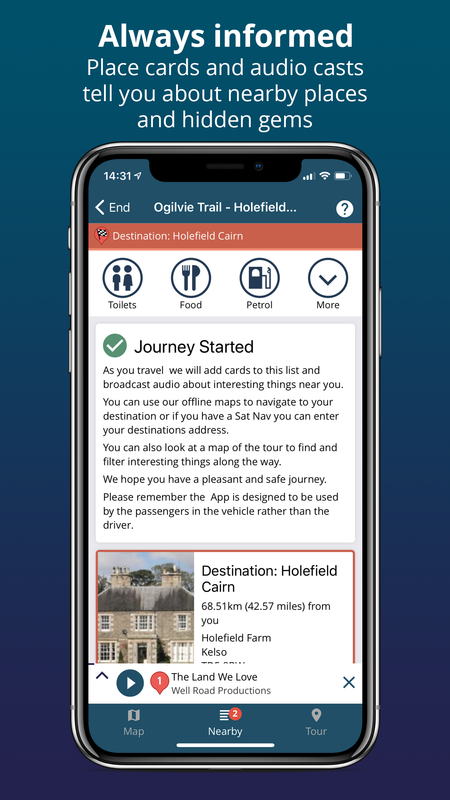 Please use this link to add to your booking confirmations, share on social media, and tell all your visitors and friends about this fantastic new app showcasing the best of what this part of Scotland has to offer. 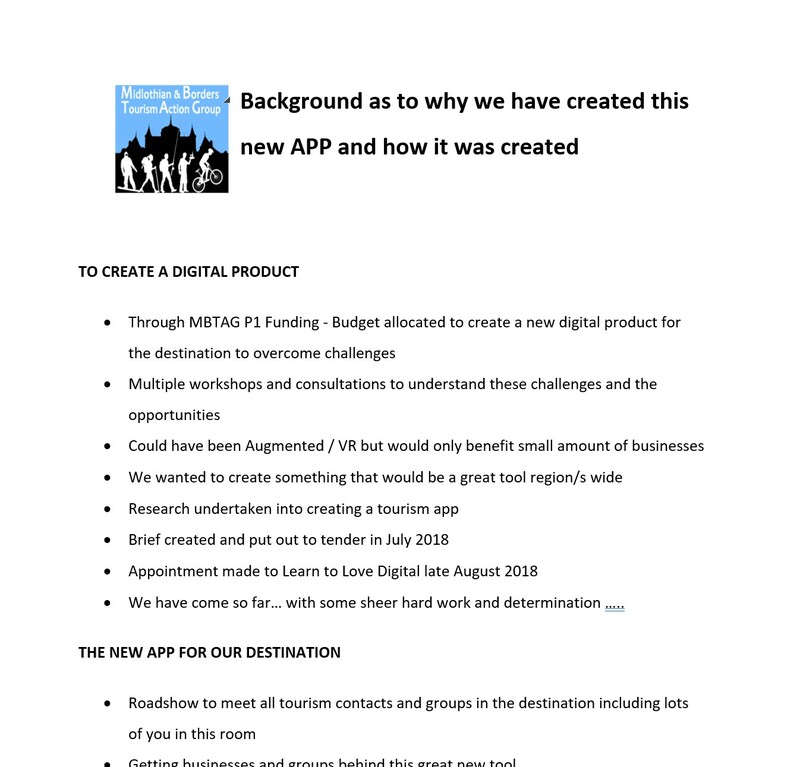 This document can lie on your website, on your social media, be printed and placed in bedrooms / available for visitors to read / share and communicate. 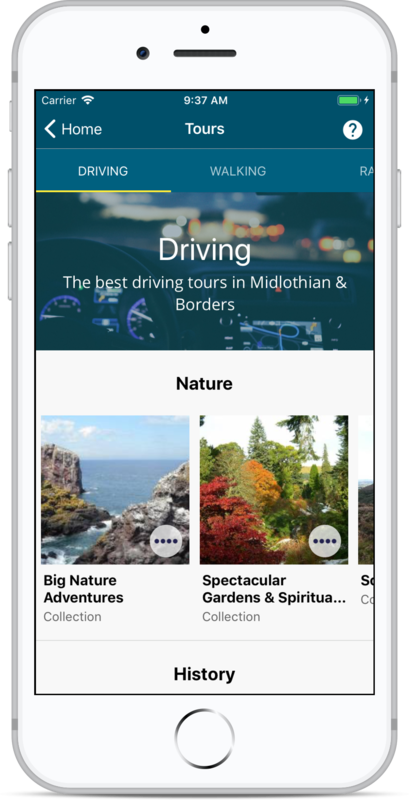 Links clickable to the app store to download. 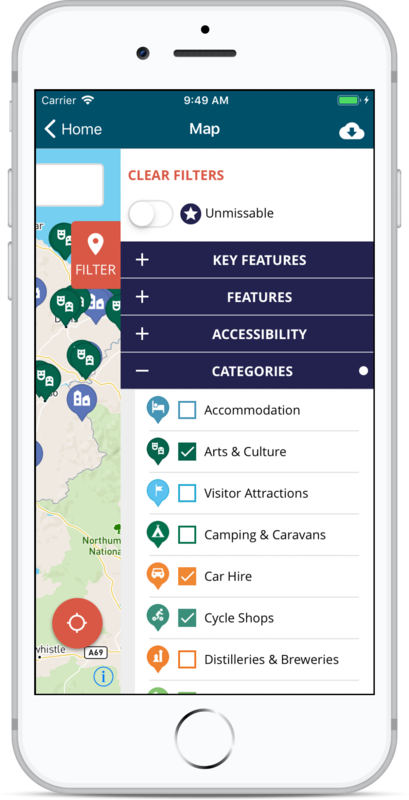 Select which areas are of interest to find out where you can go and what you can do that is near you. 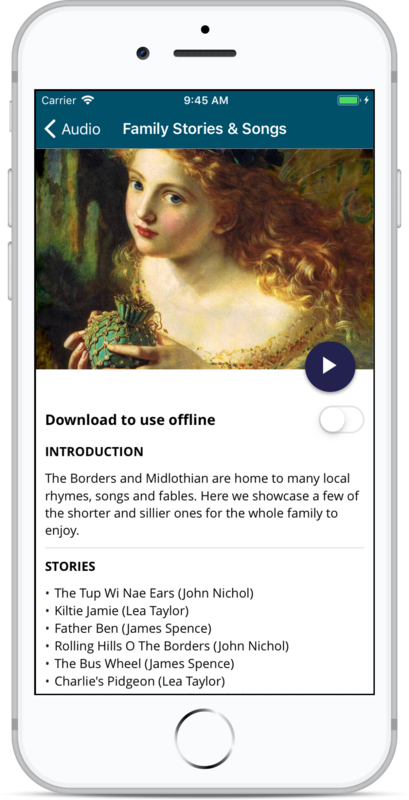 Place Cards and audio casts that tell you about nearby places and hidden gems. 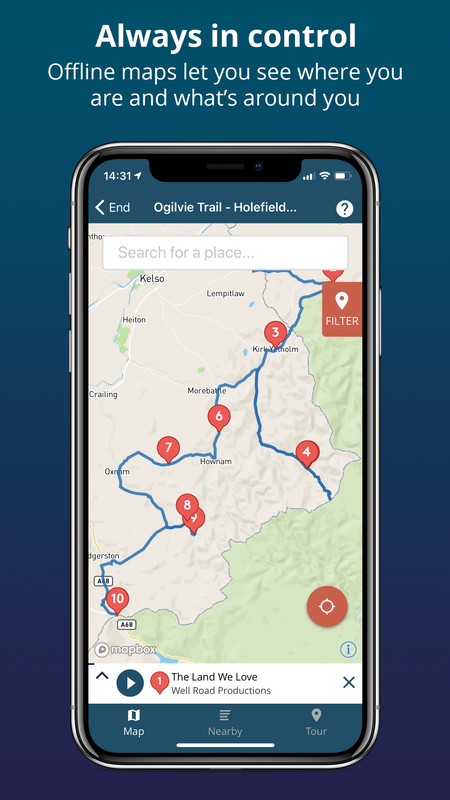 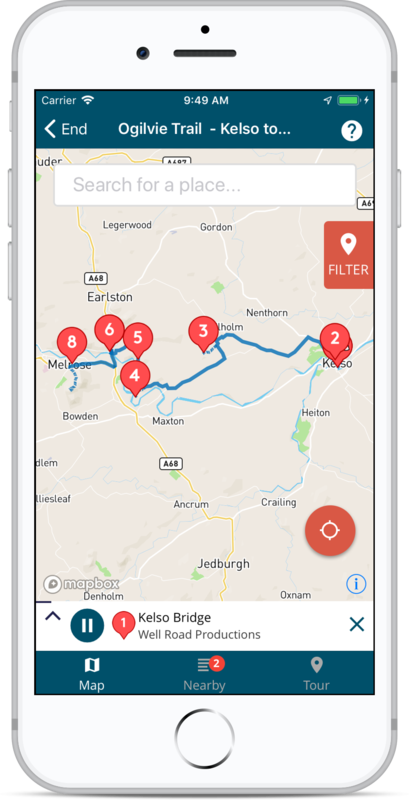 Offline maps let you see where you are and what is around you. 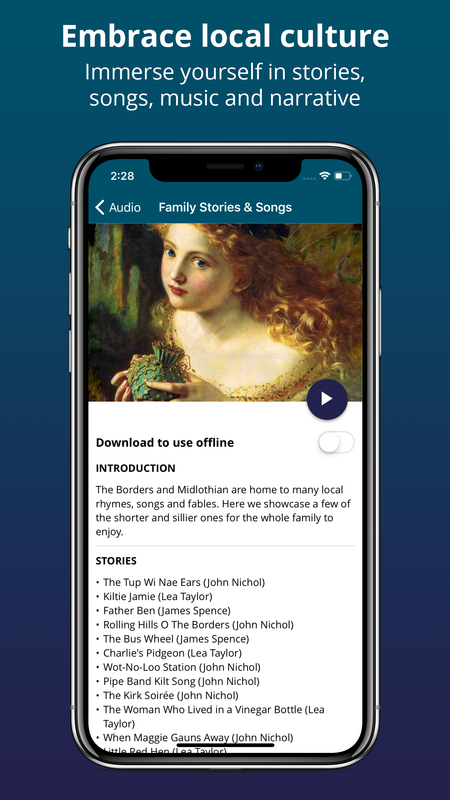 Read the content of the Audio and Channel information.